Hey everyone! The River sewalong will be starting tomorrow, so I wanted to go ahead and help you guys with some inspiration for creating your own unique version! 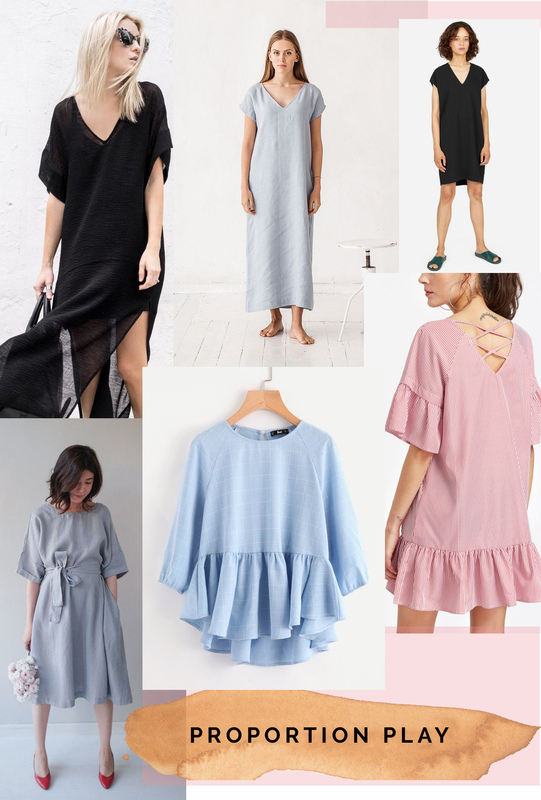 River is so great because it already provides you with the option of top or dress, and can be made in almost any fabric under the sun. 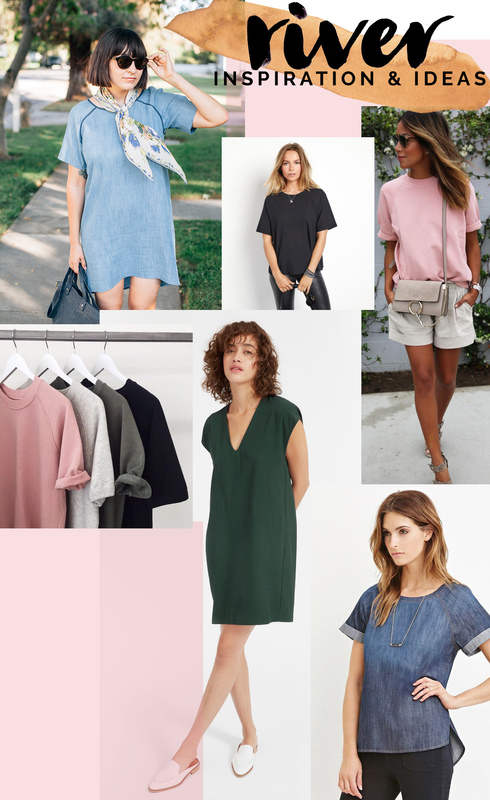 From a heavier scuba knit top, to a lightweight linen or chambray dress, to a lounge like sweatshirt version. If you can dream it, you can do it! And because it’s so versatile, it also lends itself to some great hacks and variations. So let’s take a look at some ideas! 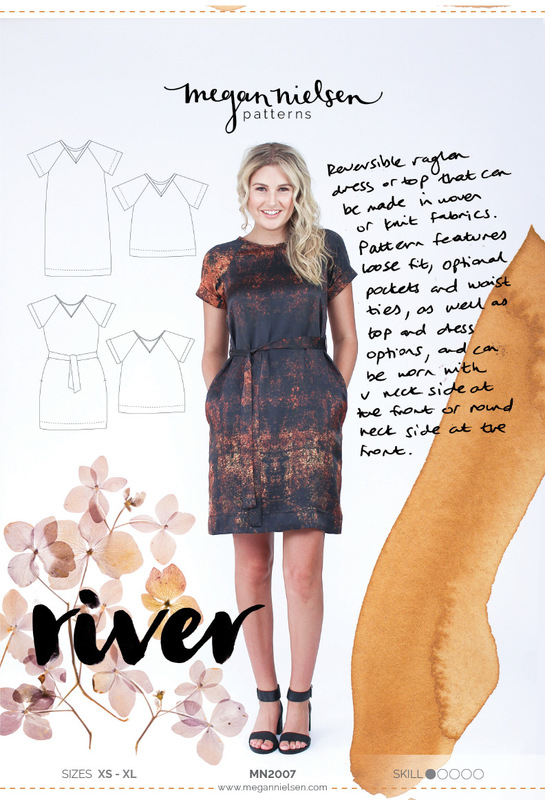 The easiest way to add your own personal touch to your River top or dress is with contrasting colors or fabrics on the raglan sleeves. Keep it simple with two different colors, or a solid color and a print. Or play with fabric choice! I’m dying over those velvet sleeves. And sheer sleeves would be so pretty! Lengthen to maxi length (and maybe a dad slit or two. This would probably work best for the woven version, in a lightweight fabric. Shorten the sleeves to cap length, or make them longer to the elbow. Slash your front and back pieces to add more volume, creating a more flowy A-line silhouette. This would look great belted like the above photo! Crop it and add a gathered skirt or peplum piece for a completely different look! I love how they added gathered ruffles to the sleeves in that last photo, too. 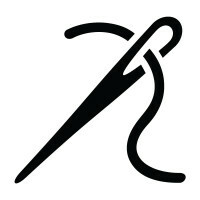 Instead of cutting on the fold, create a seam at center from or center back. Make it a clean seam, fun exposed seam like that first photo, or even add an exposed zipper. 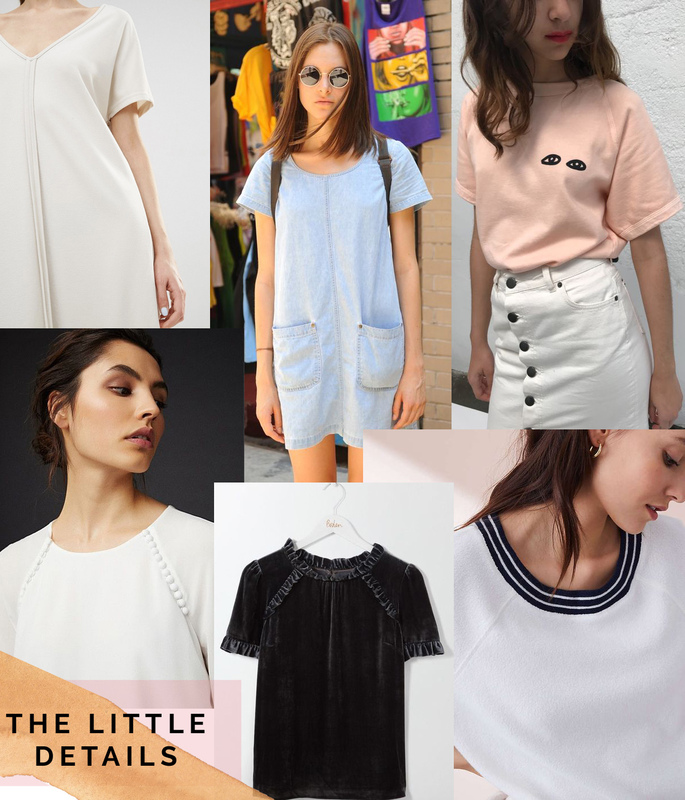 Try some embroidery – very trendy right now. Use a ribbed trim at the decline instead of creating a neckband. This would be cute if you’re going for more of a leisure/sweatshirt look. What do you guys think? Do you have any other ideas? We’d love to hear them!